JAKARTA, Indonesia — Indonesia finalized the transfer of majority control over a giant gold and copper mine from U.S. company Freeport-McMoRan, the government said Friday, in a long-awaited deal that boosts the president's re-election campaign. The Phoenix, Arizona-based Freeport McMoRan Copper & Gold Inc. initially owned about 90 percent of the Grasberg mine since it began operating in Indonesia's easternmost province of Papua in 1973. The rest has been owned by the Indonesian government. "Today is a historic moment," President Joko "Jokowi" Widodo told a news conference at the presidential palace in the capital, Jakarta, attended by related ministers of his cabinet and Freeport-McMoRan chief executive Richard Adkerson. "We will use this majority ownership entirely for people's prosperity. Our income in tax, revenues and royalties will be bigger and better," Widodo said. The landmark deal worth $3.85 billion to take over a 51.2 percent stake in PT Freeport Indonesia from the U.S. company was paid by state-owned PT Inalum mining company after environmental and smelting issues were settled, Widodo said. The two sides had been on a collision course since a presidential regulation in 2012 imposed a limit of 49 percent on foreign ownership of companies issued new mining licenses. Foreign investors with ownership greater than 49 percent were required to sell shares to state-owned enterprises or privately owned Indonesian companies. The mine in Papua, where a separatist movement simmers, has been the target of protests by Papuans who resent the region's mineral wealth being exploited by the U.S. and Indonesia. Widodo said people in Papua will also get 10 percent of ownership and regional taxes as well. Apart from reduced ownership, Adkerson said the new permit given to Freeport Indonesia, which is valid until 2031, would give the company clarity over its operation in the country up to 2041 as the company could apply for a 10-year extension within five years before it expires. He also said that Freeport agreed to convert its original agreement signed with the government of former dictator Suharto in 1991 to a new mining license. The original agreement expires in 2021. Freeport will also increase its investment in smelting in Indonesia within five years, fulfilling a key demand of the government, which wants the country to get greater value from its mineral resources, and will invest an estimated $14 billion in the mine. Widodo's announcement has fueled feel-good nationalism that analysts say is likely to give him a lift in the polls heading to an April election. Syamsuddin Harris, a political analyst from the Indonesian Institute of Sciences said that Widodo's success in taking majority ownership would widen his already substantial lead over his challenger for a second time, former general and ultranationalist politician Prabowo Subianto. Inalum increased its share of ownership in PT Freeport Indonesia from 9.36 to 51.23 percent. 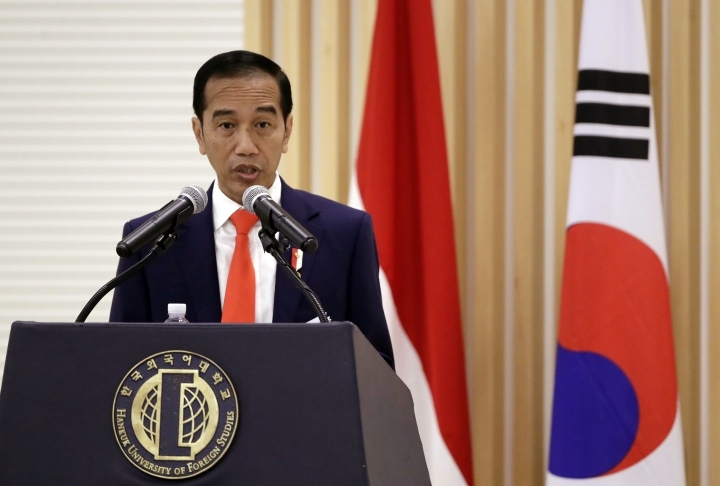 "This is what we have been waiting for a long time," Widodo said. "It means we have settled all issues and work can start."